Ironically, with this dopey merger, Disney now owns the rights to the Narnia franchise..such as it is. Actually Netflix got the rights to Narnia. Like I said I think everything you state is very likely but until they announce their schedule it's all logical speculation. Some of speculation, but you seem to ignore that a lot of that is happening. I mean if Disney started construction on a project in the parks, and we know what they bought to put into that spot, are you going to say it’s just speculation until it’s announced? In your mind is Black Widow just speculation despite filming this year and casting news? There is no reason they couldn't alternate X-Men and Fantastic Four every other year without affecting your projections. They won’t have their own movies go head to head. Eventually we probably will get an X-Men movie every year. The only thing we debated was your insistence it could be as soon as next year. I just stated given their slate, what’s already locked in, etc. that we probably won’t see an X-Men movie in the MCU until 2021 at the earliest and 2022 being likely. You seem to think everyone being hired for projects is just speculation. If they do it right and introduce the Submariner they would be on their way to a series of movies involving the Defenders. Namor’s rights are with Universal (at least partially) and I doubt he can have a solo film but can probably be in movies Iike the Hulk currently is used. That’s why it will be cool if he winds up in Doctor Strange 2, but he could obviously be in the Defenders if they go that route. Have you considered the film slots Fox had and the development of X-Force and Deadpool 2? This is the most updated Fox slate I could find, and I’ll add it with what Marvel already has. Keep in mind Feige has said he’d only be ok doing 4 movies a year under special circumstances (maybe this merger justifies it) but 3 is the sweet spot. Marvel seems to prefer Feb, May, July, and Nov releases, and the Fox movies seemed like direct competition for MCU movies. I’m not sure how they’ll utilize those slates. There are a few Disney and Fox matchups coming up which I'm sure are going to get shuttled around. I expect a flurry of shuffling. Countering "will not" or "can not" does not mean an affirmation of "there will". I'd love to see some sort of set walk through attraction for Narnia. Not a major attraction, but something to look through movie props and sets. That would be killer. Again Netflix owns the narnia rights. Not sure about theme park rights tho. Apple will reveal its streaming service tomorrow. Should be interesting. How many streaming services till the market gets saturated? This is an article from when the Netflix deal was announced: https://deadline.com/2018/10/netflix-the-chronicles-of-narnia-tv-series-and-films-eone-1202475272/ there’s an actual “C.S. Lewis Company” so they probably could make a theme park deal if they wanted to, but since they don’t own the film rights anymore it be pointless. Hence why Disney wanted this deal to happen. Every company wants their own service. After this merger Disney’s portfolio is arguably the best around. I saw a trailer for the new Twilight Zone, and it looks amazing. However I’m not paying for CBS’s streaming service. Once Disney gets all of its content exclusive to its platform it will be a must own for most families. We'll know when one of them actually DROPS their prices a significant amount, until then, they'll just keep on coming. Disney needs to get Fox's horror movies up ASAP. Usually low budged with some big potential at the BO (and sometimes licensing). New Predator sucked and was too expensive comparatively, but the franchise can be salvaged IMO. Here are some random Horror movies from the past couple of years, Universal and especially WBs are the leaders here and are cashing in. Great read if you haven’t seen it yet! That's the first time I've seen this. If that report is correct than the original 525MM, 465MM coming from Merril Lynch and 60MM coming from Universal and Paramount. That helps untangle some of the Hulk rights and confirms it's in perpetuity. Disney bought the distribution rights Paramount owned for 115MM + 9% of the BO gross of Iron Man 3 IIRC. Assuming they paid 30MM it's quite a nice ROI. Disney could (and probably did) offer Universal a similar deal, but they probably said no. 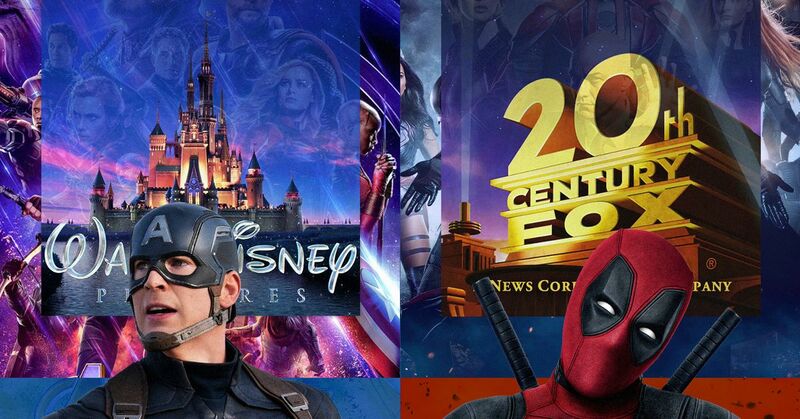 Only way those rights are coming back is if Disney buys Comcast out of their 30% of Hulu and gets the Marvel rights thrown into the equation. Add a little cherry on top if they get Indy 1-4 distribution rights from Paramount and get Star Wars Clone Wars movie distribution rights from WBs if/when they buy the 10% of Hulu from them. They also own international distribution rights to something like Titanic, but not domestic (that's also with Paramount). I would think they'd like to get those if they could as well. Apple just unveiled its new Apple TV service, including their new originals service Apple TV+. Surprisingly, Hulu and ESPN are partners in the new app, meaning that those with Hulu and/or ESPN+ subscriptions can utilize their services on the Apple TV platform, without having to install their dedicated apps. One has to wonder if Disney plans to put Disney+ on the new Apple TV platform as well. None of that is likely. Paramount will never let Indy 1-4 and Titanic leave their hands no matter how much money Disney throws at them, the Clone Wars distribution rights from WB have probably already expired (it's no longer in print on any other platform, physical or digital, besides Netflix, which also streams the whole series) and AT&T has made it clear they only want to offload the Hulu stake to reduce debt load, and Disney can afford it without borrowing more money or making a trade (enough with the trade theories, fans!). That’s because Viacom who owns Paramount is a bully. Not at all. It has everything to do with money. The Indy movies and Titanic are huge cash-cows for Paramount and they will demand a significant premium from Disney for both movies. The reason Paramount still has distribution rights to the Indy movies is because they gave up the rights to future movies and all merchandising rights to Disney in exchange for keeping the rights and financial participation for future movies. Getting Titanic out of Paramount's hands will be next-to-impossible because they foot part of the bill and own part of the copyright for it (Fox sold the North American rights to them during production because they were afraid it would lose a huge amount of money if it flopped) and so Disney would have to take out even more money just to get their portion of the copyright and rights. Given that they've already spent tens of billions of dollars for assets they're still trying to integrate, everything will be staying put. A few movies are not going to be the draw that gets people to subscribe to their service (and if they are, their service is doomed to fail). Did anyone else find it interesting that it’s called Apple TV+ and comes out around the same time as Disney+ will? Any updates on the layoffs today? Seems like all the trades have gone silent on this. None yet, probably because the layoffs are of low-profile individuals. On a side note, it appears Family Guy's days on Adult Swim/TBS are numbered.